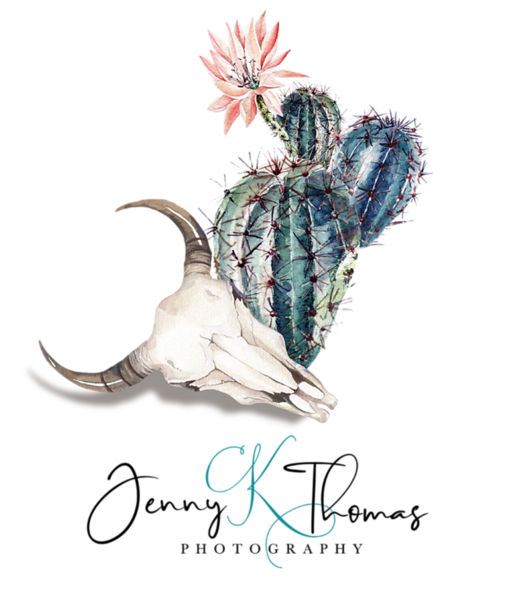 Explore the style and textures of New Mexico, the Southwest, and beyond in this gallery of dwellings, vehicles, and more. 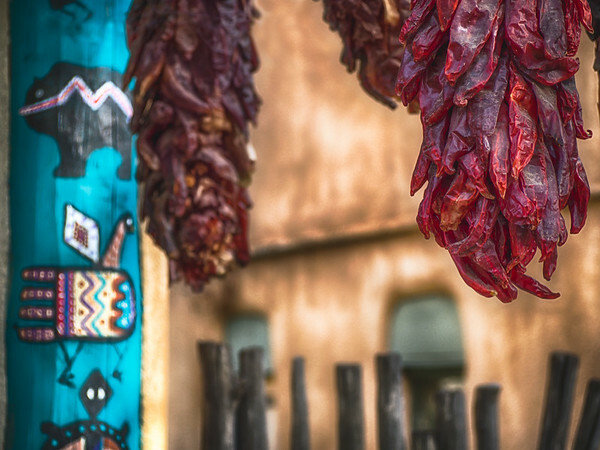 Chile Ristras hang next to a turquoise post painted with colorful symbols in Taos, New Mexico. 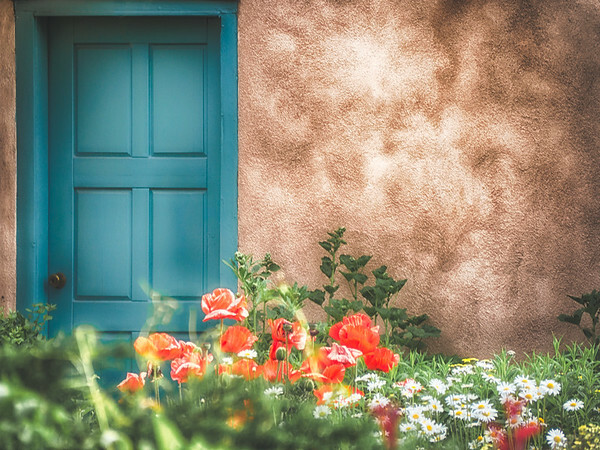 A turquoise door behind a small garden in Taos, New Mexico. 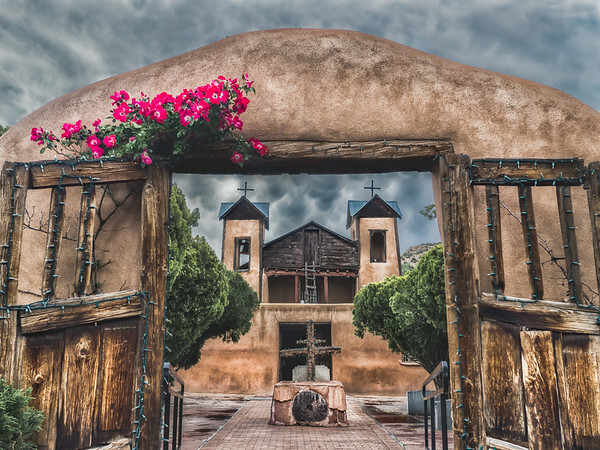 Storm clouds gather over the Santuario de Chimayo in New Mexico. 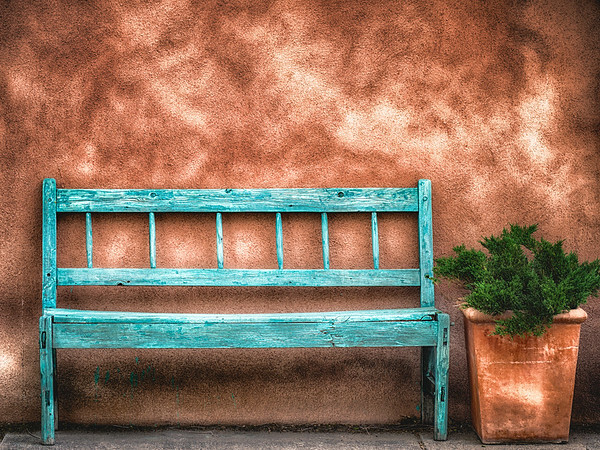 A turquoise bench against an adobe wall in downtown Taos, New Mexico. 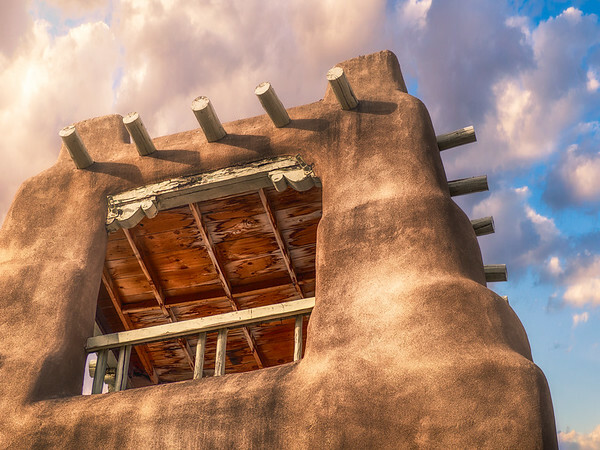 An adobe building looms above downtown Taos, New Mexico. 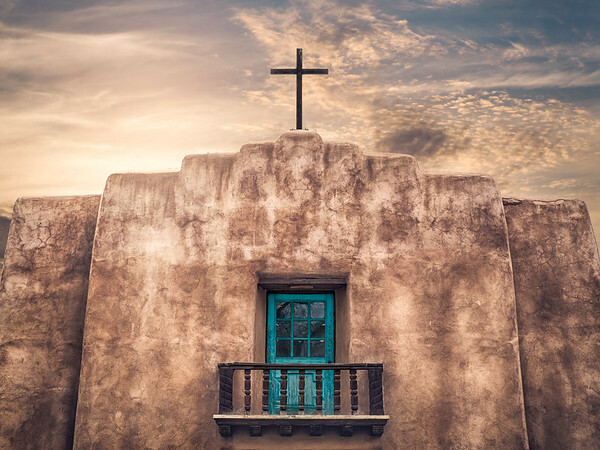 A Taos church during sunrise in New Mexico. 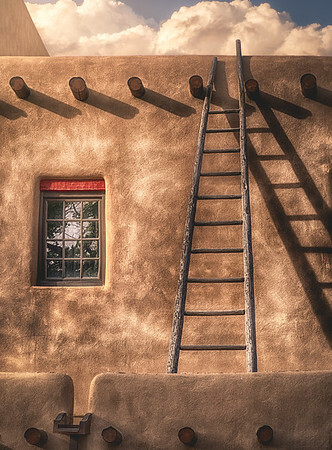 The sun illuminates a ladder and adobe building in Taos, New Mexico. 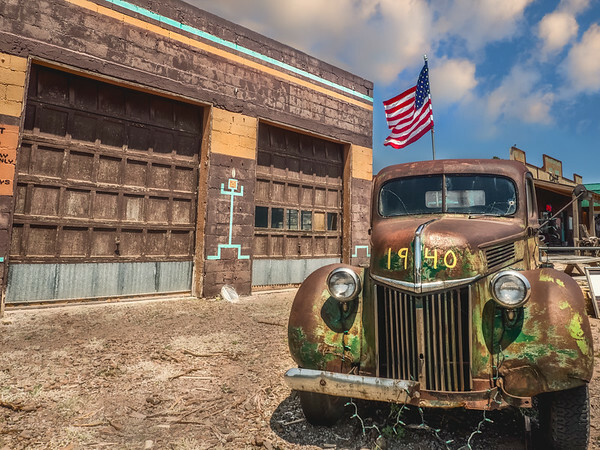 An antique truck sits before an interesting New Mexico garage in Pie Town, New Mexico. 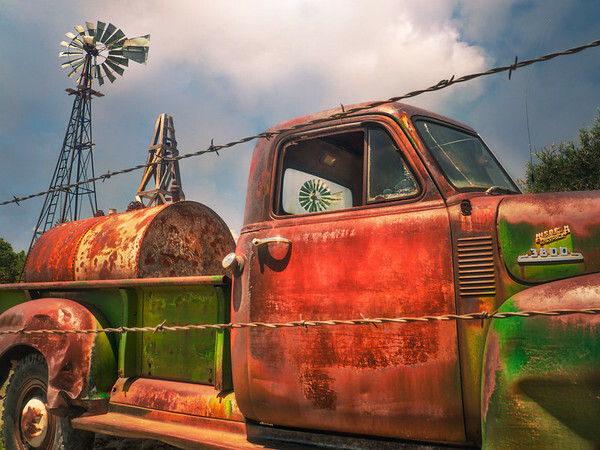 An antique Chevrolet truck sits amongst windmills in Pie Town, New Mexico. 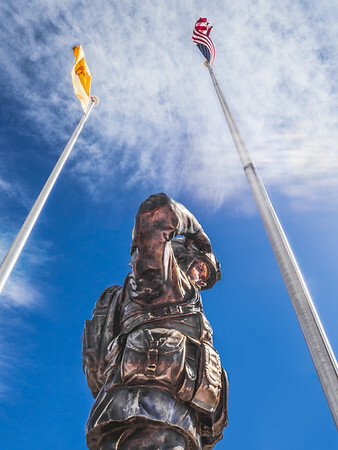 The statue of a solder salutes beneath the New Mexico and American flags at Lordsburg Memorial Park. 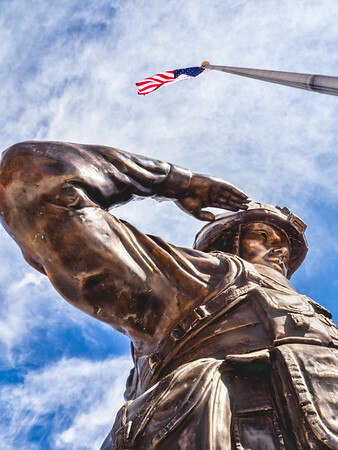 The statue of a solder salutes beneath the American flag at Lordsburg Memorial Park. 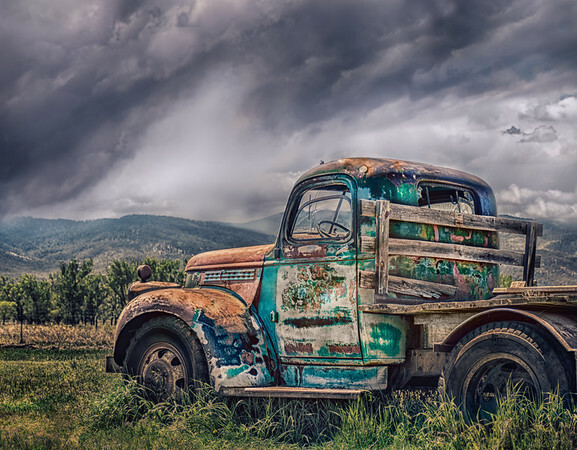 An antique flatbed truck sits before a storm in Taos, New Mexico. 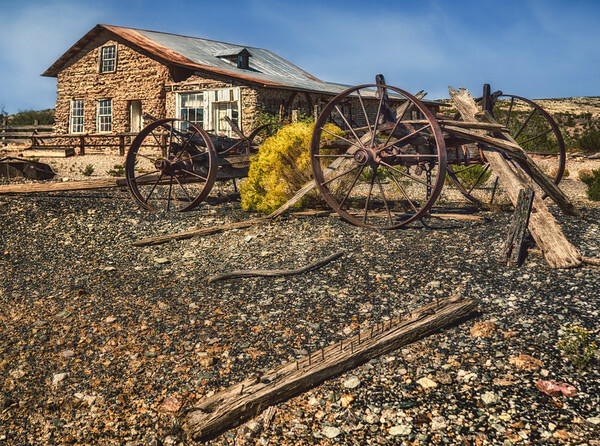 Ghost town scenery near Lordsburg, New Mexico.